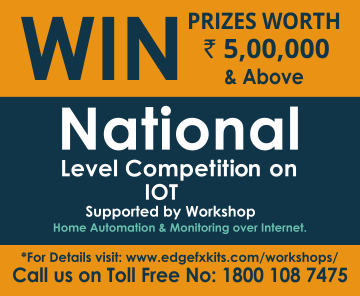 After the grand success of previous 2 competitions, Edgefx is organizing another competition for all the budding technological masterminds. Edgefx is providing a vast canvas for you to exhibit your technology prowess. If you have an innovative electronic or electrical project or if you think your designs have great value, now you have the best opportunity to exhibit your project and get acclaimed in the techno circles. Elprocus gives you a golden chance to compete with all the efficient electronic hobbyists and to turn all your innovations into reality. Perhaps you have an idea for an innovative electronic or electrical project, or you know that your project designs are of great value, or you would be thinking that you could gain profit with what you have built? Indeed! You have the best opportunity to share your project, to show it to the world, to become competent in line with your fellow electronic hobbyists and to turn all your innovations into reality. Of course! We are glad to introduce an electronic project competition for the students and electronic hobbyists to address the real-time application-based complex practical solutions. This concept is intended to encourage and engage students and project developers for the manifestation of new and innovative electronic projects. This event will not only provide the best opportunity to showcase hidden and latent talents and applaud the efforts, but also possibly offer a platform to overcome technical hurdles by providing project solutions for engineering practices. 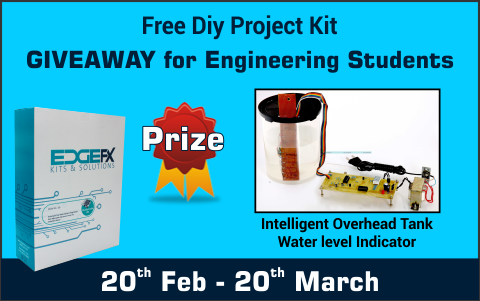 As a leading project developer with more than 200 hundred projects in diverse categories, Edgefx Kits & Solutions is conducting this event to challenge the electronic hobbyists and students from all over the country for what they have implemented or developed related to electronic kits or projects. We will approve your project and inform you to send us a project output video to see whether the project’s hardware is working and to know the status without compromising the project’s performance, usefulness, originality, cost-effectiveness and acceptability to the market. After successful verification of the eligible entries, we will decide to take those projects that are really of good value and perfect models for real-time application. The participants will be awarded with a project worth amount or with any other consolation prizes based on the type of the project and its hardware stuff. We will also pay the amount that incurred to implement that project with an appreciation. Only original entries will be considered. The acceptance of the project will be at the sole discretion of the company. The project must be highly technical and related to real- time application. Once selected for prize money, the project becomes the sole ownership of Edgefx. You can submit as many projects as you want, but make sure to submit them separately. Only hardware based projects will be considered. 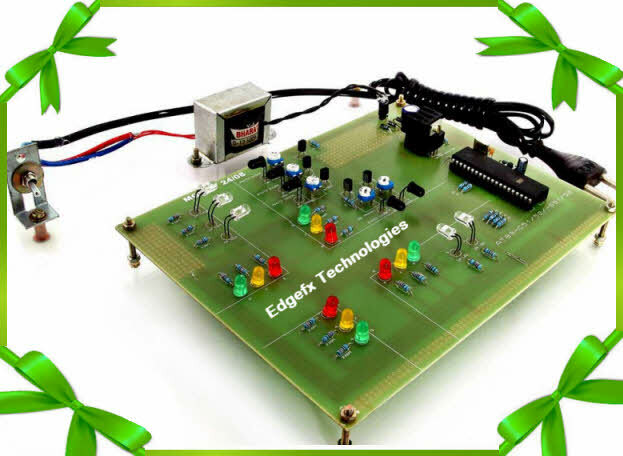 The projects can be microcontroller or non-microcontroller projects. No. of entries selected for the 1st and 2nd place can be multiple in numbers. Once selected for prize money, you should be able to submit circuit diagram, code, PCB layout (optional) and relevant documentation. This all about the Edgefx competition and we are looking forward to your highly-valued projects. If you have any doubts or queries, you can contact us by leaving a comment below. For more project ideas please refer to the link. 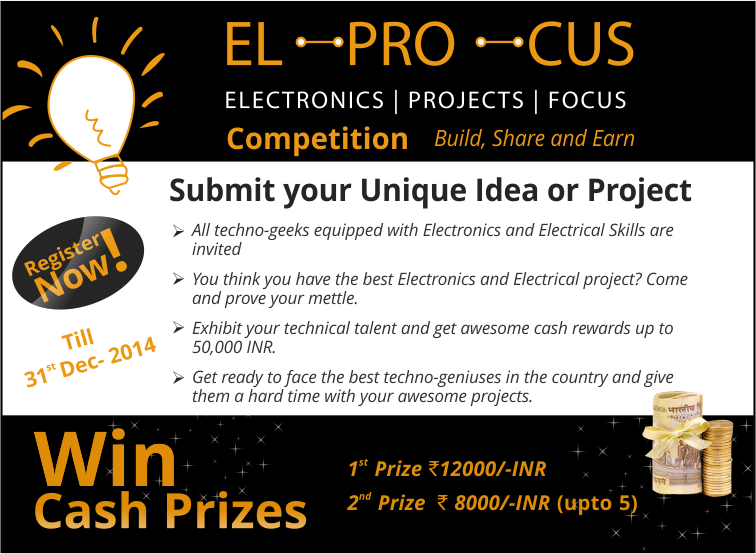 Please follow the link: https://www.elprocus.com/elprocus-event-for-electronics-and-electrical-professionals/?utm_source=Elprocus%20Home%20Page&utm_medium=banner&utm_campaign=Eletronics%20competition%20banner%20home%20page/ for help and kindly go through the terms and conditions for complete details.